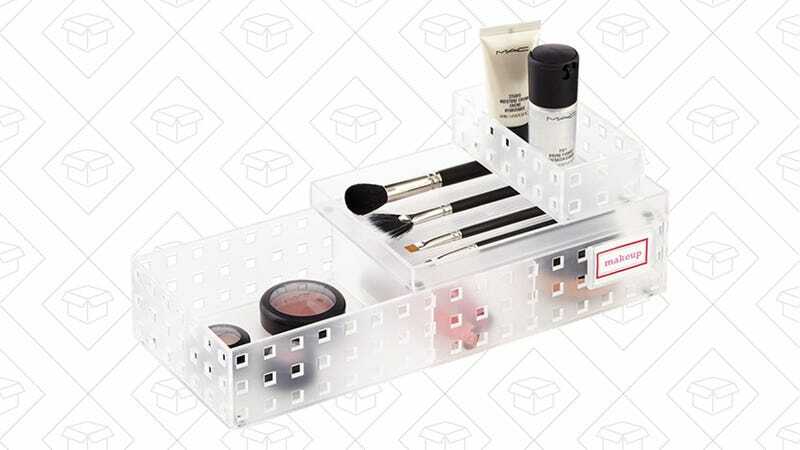 In my world, the beauty product hoard is ever-increasing, so I’m always game to test a potential new organization solution. I found the Like-It Bricks on a particularly Marie-Kondo-inspired Container Store trip and they’ve been a godsend. Not only are they stackable, but each brick is made to slide over the others easily. They also come with plastic dividers that clip into their walls and compartmentalize your larger bricks. The traditional, clear acrylic drawers frequently touted as the cure-all never interested me. 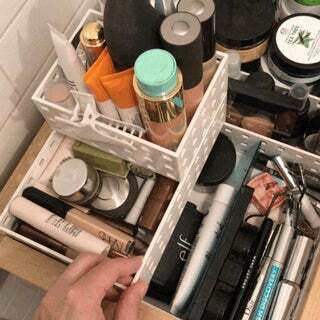 My makeup storage doesn’t need to announce in crystal clear view that I own four different primers, six mascaras, five highlighters, five blushes, and about 10 concealers. It doesn’t need to be proudly displayed on a vanity. And it definitely doesn’t need to look good on Instagram. It just needs to keep the everyday products I use from getting buried by the once-in-a-while ones.